Clive Page - UKIP Press Officer and convicted benefit fraudster - is becoming increasingly frustrated at being sidelined by Nigel. All the ‘important’ press jobs - are there any left? - are now handled by Ms Rowe. Poor old Clive is now left with the dross. Nigel never forgave Clive for failing to support him over the Ms Fuller affair. Nigel is well aware that Clive was glad to see the back of Annabelle ( pictured above) as his working relationship with her had become almost intolerable. Remember her comments in The Independent and The Mail on Sunday? In the Mail she mentioned an 'irrevocable breakdown in working relationships with my closest colleagues’. She was, of course, referring to Clive Page. Clive was also bitterly opposed to the Farage approved attacks posted on Robin Page’s blog by Bob Feal-Martinez and Ms Fuller. Clive correctly surmised that such attacks would make Robin even more determined to criticise the leadership of UKIP in future editions of his blog. Naturally Nigel did not agree. Over the coming months Clive will be pushed more and more into the background. After June - if he lasts that long - expect to see him seeking pastures new. Ex-hack shamed over scam by Simon Armstrong, The Evening Chronicle, May 20th 2004. A former Tyne Tees TV manager claims he has been left penniless after admitting swindling thousands of pounds in a benefits scam. Clive Page, 60, dishonestly claimed more than £5,000 in housing benefit and council tax for a flat on Newcastle Quayside which he didn't live in. Despite having moved out of the property at the Watergate Buildings and sub-letting it to another tenant, the 60-year-old claimed the cash between July 2002 and July 2003. Magistrates at Gosforth gave him an 80 hour community punishment order after his solicitor claimed he was a ruined man with barely a penny to his name. 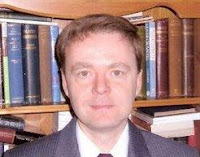 Defending, Ruth Foster said: "He has been a highly-respected man. His one foray into the world of crime has led to his ruin." Page moved to Tyne Tees in 1978 and ran their news and sport from 1982 after starting his career at the Chronicle. He was sacked from Tyne Tees in 1988 as part of a departmental re-shuffle. Page, who is living at his partner's home in Sandhoe, Hexham, had previously pleaded guilty to making two false representations in order to claim £3,543 housing benefit and £1,943 council tax benefit. He also admitted providing a false statement which claimed he was living at the Quayside flat. Prosecuting, Kerry Walker outlined the case against him: "Between July 2002 and 2003, he told the local authority he was living at the Watergate Building. "However, on those dates he was sub-letting that property for £500 per month. In effect, he was claiming housing and council tax benefit for a property he was not living in." Mr Beaman was UKIP’s democratically elected lead MEP candidate in the North West. As you will recall Farage and Paul Nuttall - UKIP’s odious second-rate Mussolini - colluded to remove him. Gregg resigned in disgust. Gregg’s treatment at the hands of Nuttall, Duffy, Farage and Oxley clearly illustrates why they must go. The are without honour or decency - just like the rest of the leadership. Fortunately, they are now reaping the whirlwind and will fall. And to think that Paul Nuttall told me that he is prepared to lead UKIP if Nigel “has to go”. I wonder if Nigel knows that his so-called loyal friend is prepared to stab him in the back? Don’t bother to run for the leadership Paul. You will lose. Too many people in UKIP now see you for what you really are - a nasty little man with an over inflated opinion of himself. I was heartened yesterday to receive a letter from senior and respected members of the UK Independence Party expressing their thoughts, and fears, on the future of the Party. I agreed with them and some of the reasons I stood down as lead candidate in the North West for the Euro elections, and as Regional Organiser, are virtually the same. Of course the clique in control of the party have tried to blacken my name. They have accused me of using a pseudonym on an internet forum to criticise the Leader. I was not registered on that forum but anyway, big deal, it shows how small-minded the current leadership clique are and how they respond to criticism perceived or real. They also accused me of using my position as Regional Organiser to gain advantage in the election for the list in the North West. Paul Nuttall, and his little sidekick in Brussels, Michael McManus, lodged a complaint about a letter I supposedly sent to members canvassing their support in the Euro election poll. Of course the letter doesn't exist as every member in the North West knows. The complaint was withdrawn anyway, but they have still used the imaginary letter to try and blacken my name. Note that this blog is no longer 'Gregg Beaman's Blog'. The reason being that I was tired of receiving unpleasant 'anonymous' comments after I stood down. Who was sending the unpleasant 'anonymous' comments? Well at least one sender was Rachel Oxley. How do I know? Because I goaded the 'anonymous' one and received a text message from Rachel Oxley owning up. How very grown up and mature. Is she the kind of woman who should be Vice Chairman of a national political party? I then had Lisa Duffy emailing people claiming that I stood down because of a debilitating illness and because I had only expected to come third rather than first. More fibs from a member of the ruling clique. One of life's ironies is that it was only in May 2008, at the North West Spring Conference in Morecambe, that Rachel Oxley and Lisa Duffy had complained to me that Annabelle Fuller had spent the Saturday evening texting Nigel Farage, quite suggestively and quite openly, about what she wanted to do with him when he came to the North West the following day. Lacking the courage of their convictions they happily passed it on to me. But later Duffy was terrified that the Party Chairman was upset with her for 'spilling the beans' on the Leader. And that was after them specifically asking me to pass on their concerns to the Party Chairman. But Lisa Duffy was that way inclined. Before the last leadership election she had phoned me in a terrible panic after she had been contacted to consent to Farage's nomination but had already promised to consent to David Campbell Bannerman's candidacy. She didn't understand that democracy worked that way. She clearly lacks the courage of he convictions, if indeed she has any convictions. Don't fight for what you believe, just stay in with the right people seems to be her philosophy. A few weeks before I stood down I had been critical of Nigel Farage to Rachel Oxley, describing him as a liability. It may be a coincidence but Rachel Oxley never spoke to me again after that. I only received an email from her informing me that she would no longer speak at a meeting of members that I had organised in Cumbria. Not very professional I thought, but very spiteful. I now see that it typifies the lack of respect for the members that typifies certain people in the current leadership clique. That is some of the background that added to my increasing disillusionment over the last couple of years and, ultimately, to my decision to walk. But, most importantly, I had come to realise that after having MEPs since 1999 the Party had failed to move our cause forward. In 2008 we still only achieved 2% in the Crewe and Henley by-elections. A quarter of our MEPs elected in 2004 had gone, and I don't need to go into detail. In my opinion too many of the remaining MEPs have been seduced by the position, especially the current party leader, and they ignore the fact that we have failed to make any impact in Parliamentary elections, which they continually argue will come with the resources gained from having MEPs. In August I was told that Paul Nuttall was to become Party Chairman. I knew then that I could no longer continue. I had always felt that Paul was only in it for what he could get. The way he grovelled to Farage, even starting to dress like him, had made me cringe and some of us in the North West had even started referring to him as 'Scouse Farage'. When the results of the members' poll were announced I was told that Farage was jumping up and down ranting that I had to be removed from the top of the list, and I heard that from three different sources. I wondered what had happened to the Party that had offered so much hope to so many of us. All my doubts about even standing in the European elections were still there and I was not prepared to stand if all it meant was a good living for five years for no political gain. Their behaviour had convinced me, more than ever, that there is an element in the Party only interested in the 'gravy train', their own vanity and little else. 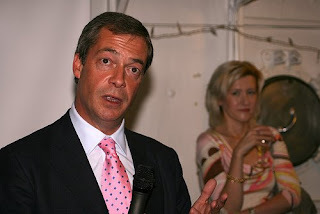 As far as Farage is concerned I knew when I met him, during the Preston by-election in 2000, that he was the personification of vanity and ego with little behind that wafer thin facade. I have seen his childish temper tantrums when he doesn't get his own way, when I was on the NEC and later when I was on the Elections Committee. I have seen him bully people and have stood up to him when he has tried to bully me. He must be one of the coarsest most vulgar individuals I have ever come across. The proposed changes to the party constitution are a result of the complete lack of principle of the current leader and chairman and, it must be said, the lack of courage shown by certain members on the Party's NEC. 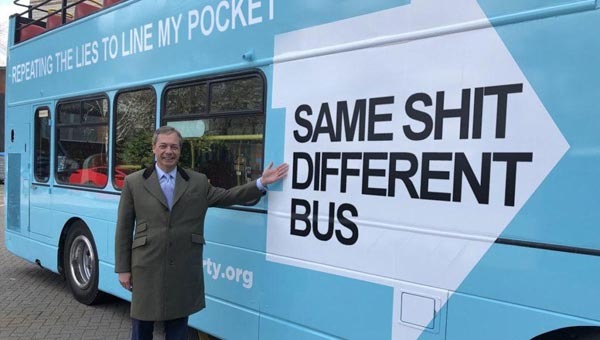 One thing Farage has excelled at is driving decent, honest people away. There is no room under Farage's leadership for open debate and discussion, and God forbid there should be any disagreement with him. When people have had enough and go his clique then proceed to try and blacken their names, and others have had much worse smears than I have directed at them. He only wants around him people who are easily flattered and who do not think for themselves. The current changes to the constitution, if approved, will remove the right of the members to contribute to the party's future and will certainly remove the right of members to criticise the decisions of the leadership. UKIP will then be no different from the European Union that it was formed to fight. Finally I remember appearing in a TV debate in 2004 when Labour MEP Arlene McCarthy accused UKIP of lacking the principle of Sinn Fein, who refused to take their seats in a parliament they opposed. I have thought long and hard about that comment since and have to say that Sinn Fein are now power sharing in Ulster. Where are UKIP? Here are the proposed changes to UKIP's constitution. These changes will give unlimited power to Farage and his odious sidekick Nuttall. These changes will be used by the leadership to persecute and expel all those who refuse to accept their word as law. Reject this attempt to stifle freedom of speech! Reject this attack on democracy! Reject their dictatorship! Vote no to all these changes! Vote no to Farage fascism! The NEC recommends the following amendments to the Party Conference as agreed at the NEC meeting of Dec 1st 2008. Vote to accept or reject these changes using the enclosed ballot paper and please observe the instructions printed thereon. 4.5 Members shall accept the Party’s constitution and rules made in accordance with this constitution and do nothing to undermine the reputation of the Party or to bring the Party into public disrepute. Nor shall they act in a manner intended to cause, or actually causing, damage to the Party’s interests including, by wilful disruptive conduct or by breaching confidentiality. Former members who have been expelled may only be readmitted with the approval of the NEC. 6.1The Party shall hold both a Business Meeting and an Annual Conference annually at places and times decided by the NEC. Only paid-up Party members may vote at the Business Meeting and at the Annual Conference. 6.2 The Business Meeting will be open only to paid-up Party members. Its business will be to receive reports from the national officers; to elect members of the Discipline Committee (who will serve until the next Business Meeting) receive and vote on the Party's accounts and to determine the membership fee. 6.3 All motions at the Business Meeting may be passed by a simple majority of those voting. Procedures for submitting nominations and motions at the Business Meeting shall be determined by the NEC from time to time. 6The Party shall hold an Annual Conference and other national meetings as deemed appropriate by the NEC at times and places decided by the NEC. A report and presentation of accounts to the membership by the Party Treasurer will be presented at such a meeting. Only paid up members shall be entitled to vote at such meetings and the NEC shall give active consideration to holding a Spring Conference. 9.2 The Treasurer shall be responsible for managing the Party's finances, for preparing annual accounts and presenting them for approval at the Business Meeting which shall be held within the time required by the Electoral Commission for reporting accounts by the Party. He or she will carry out any other functions prescribed by statute in relation to the finances and financial reporting of the Party. He or she will chair the Finance Committee. 9.2 The Treasurer is responsible for managing the Party’s finances, for preparing annual accounts and presenting them for approval at a meeting which shall be held within the time required by the Electoral Commission for reporting accounts by the Party. He or she will carry out any other functions prescribed by statute in relation to the finances and financial reporting of the Party. He or she will chair the Finance Committee. 10.3 The Party Secretary shall chair the Committee on Standing Orders and he or she will determine its composition. 13.1 The standing committees set up by the NEC shall include a Finance Committee, a Discipline Committee, a Committee on Standing Orders and a Conference Committee. 13.3 The Discipline Committee shall comprise the Party Secretary and the members elected for this purpose at the Party Business Meeting and shall be chaired by the Party Secretary. 13.4 The Committee on Standing Orders shall be chaired by the Party Secretary and will be responsible for making recommendations to the NEC for maintaining and updating the rules prescribed by the Party for various purposes and for reviewing proposals for amendments to the Party constitution. The Conference Committee will be chaired by the Party Chairman and will have the responsibility for all matters relating to the agenda of the Party Conference, including the selection of motions for debate. 14 DISCIPLINE currently reads14 The Party shall establish a Discipline Committee comprising of the Party Secretary and up to ten members approved by the annual Business Meeting from fully paid-up Party members. The Party Secretary and a minimum of four members of the Discipline Committee shall conduct specific hearings in accordance with the appropriate rules which shall be made by the NEC from time to time. Serving members of the NEC may not be nominated for election to the Discipline Panel, and elected members of the Discipline Panel must resign if elected to the NEC. 14.1 The Party shall establish a Discipline Panel comprising of the Party Secretary as Chairman who shall, at any one time, select 3 Party members in good standing from a pool established as 5 members from each region, selected by each Regional Committee. MEPs and paid employees of the Party shall be excluded from serving on disciplinary panels. 14.2 Disciplinary complaints may be lodged by individual party members, or by the party chairman if he/ she deems that there has been a breach of paragraph 4.5 of the Party Constitution. 14.3 When a complaint is lodged by the Party Chairman he/ she has the authority to order immediate temporary suspension of the member concerned from all party offices or candidatures or from party membership, with suspension from membership implying suspension from all party offices and candidatures. The case will simultaneously be referred to the Discipline Committee which will decide within 14 days whether to confirm any such suspension and will proceed according to the Discipline Rules. Robin Page on the Tories, Nigel Farage, John West, Jeffrey Titford and UKIP’s proposed constitutional changes. Dave, sleep peacefully,UKIP is a Small Party Getting Smaller Politics and politicians - what a shambles. Dave you may be lightweight – about the same weight as John Major - but you are considerably lighter than William Hague, who stupidly accepted the leadership of the Tory Party when he was too young. In my view later on today would be the right time for him. Ukip’s constitutional changes are astonishing. One abolishes the Party’s annual business meeting – taking away the right of members to vote on the Party’s accounts – well there’s a surprise. Another will abolish the democratic right of members to elect a Disciplinary Panel and it will give the unelected Party Chairman (appointed by the Leader) – with the most inappropriate name possible – ahem – Mr.Nutall - the arbitrary powers to suspend any member for any reason without a hearing. Last Friday I predicted that Farage would reap the whirlwind within seven days. I was aware of this letter and it's contents but decided to reman silent until it was sent to all UKIP members. I can assure you that Farage, Nuttall and the nodding donkeys on the NEC are finished. They should now resign from UKIP for bringing our Party into disrepute. By conducting kangaroo courts, witch-hunts and promoting the corrupt they have shown that they are unfit for any political office. They are a disgrace both to UKIP and the whole Euro- realist movement. We are writing this letter more in sorrow than in anger. At a time when every effort should be directed to our June election campaign, the NEC is wasting time and money on divisive and controversial changes to the UKIP constitution. It is now holding a members' referendum on this. Amendments 6 and 19 (VOTE 2) The changes abolish the annual business meeting. Members will be deprived of their current absolute right to vote annual on the Party's accounts at a meeting of all members and to receive annual reports from all national officers. Yet the Party should belong to its members and the leadership should be accountable to them. Amendments to 14 (VOTE 4) the changes will abolish the democratic right of members to elect a Disciplinary Committee at the annual business meeting. Instead a Disciplinary Panel of three will be selected arbitrarily by the unelected Party Secretary from a "pool" of about 55 people, themselves appointed by regional committees. Further changes will give the unelected Party Chairman (appointed by the Leader) arbitrary powers to suspend temporarily any member for any reason without a hearing. These changes are worthy of the EU itself - reducing accountability and democracy. Given that the leadership launched this attack on members' rights and is now asking your view, we feel it right to present the case against. We ask you to vote AGAINST all changes but particularly Vote 2 and Vote 4. The other changes are simply needless. In less than six months voters will be choosing their MEPs. UKIP should be campaigning now for a major breakthrough. Yet it is low on the opinion polls and short of campaign funds. The NEC discussed the coming campaign for the first time only a few days ago. Meanwhile it has been wasting energy on feuding and squabbles. It then launched a witchhunt for imagined enemies within. Two NEC members elected by the members were summarily kicked off the NEC; their crime apparently being to express their own opinions (and absolutely nothing to do with the BNP as some have tried to imply). The deputy treasurer was similarly removed. Ordinary members have been thrown out without being given the right to any hearing. We condemn this navel-gazing and misdirection of effort. It must stop. We call on the leadership to accept that any democratic party is bound to have a spread of views; that intellectual debate can be healthy and that, amazingly, the Leader, the Chairman and the NEC may not always be right. As prominent UKIP members we call on the Party to unite, dispose of this distraction quickly by voting against these unneeded changes and concentrate on the proper task in hand. Here is the letter that will prove the final nail in Farage's coffin. It was signed by Sir Richard Body, Roger Knapman MEP, Piers Merchant, Bruce Lawson FCA, Martin Haslam FCA, Tim Congdon CBE, Dr Eric Edmond, Del Young & Dr David Abbott. The letter calls on all UKIP members to vote against the proposed changes to UKIP's constitution - changes that will give Paul Nuttall the power to remove anyone who dares criticise the leadership. Such changes will turn UKIP into a full-blown fascist party. I applaud these brave men for standing up for democracy, truth and justice. Del Young & Wayne Harling: Is Mr Harling a fit candidate for UKIP's NEC? Del Young is an extremely popular member of UKIP. He is also member of UKIP’s NEC and was the first Director of Young Independence. In November 2007 he was the victim of a Farage orchestrated kangaroo court and was replaced by Lisa Duffy - a Farage sycophant with limited ability and therefore limited ambition. Mr Young was never popular with the Farage cabal as he was quite prepared to criticise Nigel if the situation demanded it. He could also not be intimidated. 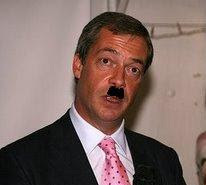 Nigel also suspected that Del wanted to replace him as leader. Nigel’s insecurity proved Del’s undoing. It should be noted that Wayne Harling - who is currently seeking election to the NEC - was part of the plot to remove Mr Young. Wayne Harling had been sacked as chairman of Young Independence after Del realised that Mr Harling lacked ability, maturity and motivation. As you can imagine Wayne was looking to get even. I am writing to update you on UKIP Young Independence, the fledgling section of our party intended for younger members. Unfortunately some serious problems have emerged. In January 2007 I pointed out to John Whittaker that UKIP Youth kept appearing on the NEC agenda and nothing was being done about it and we were missing an important opportunity to bring young people into the party. He told me if I was so concerned about it I should put proposals/ideas together about making it work. In February 2007, I went to the NEC with a plan of action and explained it to the NEC I stressed to them that I needed the autonomy and the authority to set up and run UKIP Youth as I saw it but I also insisted on giving the NEC a running Commentary at the monthly meetings on what was happening in UKIP Youth, as they are the managers of the party and UKIP Youth must be under their overall management but in a loose way. It’s important to note that there have been times when I went to give the NEC updates about UKIP Youth and the Party Chairman stop me from giving it and sometimes UKIP Youth was never on the agenda. I appointed a Chairman, Secretary, Press officer, Fund Raising officer, Membership officer. I also appointed four Mentors from amongst members of the party, they were there to give support to the Youth Council when asked and I used them as a sounding board and advice when I wanted to. I was asked by the NEC to find a paid administrator and despite the difficulty of finding funding, and a lack of cooperation from some people, the organisation was successfully set up and an excellent administrator was appointed. The mentors and I would have gradually fallen away as the organisation got strong and could stand on its own two feet. After the completion of the Web site and a meeting in Birmingham with two mentors five members of the Youth council and I setting out how we were all going to make UKIP Young Independence a success. There was no action from some members of the Young Council. I phoned and contacted the mentors on a number of occasions to express my concerns and told them I was considering removing and replacing some members of the Young Council to improve things. A few weeks after conference 2007, I did a SWOT analysis (Strength, Weakness, Opportunity and Trends) on the organisation and the inactivity and silly mind games by some Young Council members stood out as one of the biggest weaknesses and obstacles to UKIP Young Independence becoming a success. I therefore exercised my right to reorganise the Young Council to make it more effective and successful. I removed the Chairman, the Press Office and the Fund raising Officer on the 1st November 2007. When I attended the last NEC meeting on the 5th November, as an elected member, I was surprised to discover that an item was suddenly raised that had not been on the agenda. I was equally surprised to discover that the chairman of Young Independence I had appointed and removed had been invited. What followed I can only describe as an orchestrated denunciation which, among other things, included claims that I had criticised the Party leader, Deputy Leader and the Party Chairman at a meeting of UKIP Young Independence in Birmingham. In fact this is not true, though I had not realised that criticism was no longer allowed. I was then asked to leave the meeting – despite being an elected member – and when allowed back was kindly informed that “my resignation as Director of Young Independence had been accepted,” even though I had not resigned. At no point in that NEC meeting which was more akin to a Soviet-style Politburo purge did I tell the NEC I resigned or handed them a letter of resignation! The Chairman (John Whittaker) and some other members of the NEC said I do not need a copy of the report when I asked Wayne Harling for the copy he had in his hand. Wayne Harling said he will email me a copy and to date I have not receive a copy of the report from Wayne. Why didn’t the NEC want me to have a copy of Wayne Harling report? Why didn’t the NEC speak to the Mentors and the other members of the Young Council before the ambush? Why get rid of me when the structures and systems I had and was putting in place, stood a good chance of making UKIP Young Independence a success? Why did the NEC got rid of me and reappoint the members of the Young Council whom I removed for being inactive, incapable of making UKIP Young Independence a success? In other words this was a blatant ambush and an abuse of procedure. The result of all of this is that our Young section is now in turmoil, there is no direction, the administrator has no guidance and a great opportunity is being squandered. In addition, given the way in which I was treated at the last NEC some have suggested to me that I might as well resign altogether. However I was elected by the members to serve them on the NEC. I think it is important to have strong, independent voices on our governing body, so I intend to continue. My aim is to make an entirely positive contribution to the Party, but I will speak my mind at meetings in the interest of the members, their party and its aims and goals at the NEC as I am sure those who elected me want. Caro Paul, ancora ottenente potabile a Bruxelles? Don' la t dice la moglie! FORCES international, one of the lobbying groups behind Godfrey Bloom's anti- smoking ban conference, has launched an astonishing attack on anybody who disagrees with its stance. In an article, ‘attempt to suppress TICAP conference’ it manages to make reference to Nazism and fascism 5 times each, not to mention occasional reference to whores and scum, Marxists, and a supportive quote from Nigel Farage. The piece concludes with the comment "See you in Brussels. Get on that plane now. We have a fuming message we are going to blow right into their ugly, Nazi faces!" An attempt to gain credibility for the conference floundered when the Parliament's bureau noticed on the agenda some rather interesting references to "opportunities to engage with leading industry figures". As the smokers gather in a nearby hotel room to be anti-anti-anti (sorry if that is too few or too many "anti"s, its hard to keep up with exactly what the contrarians are for or against these days) another conference will be getting underway just a stones throw away. Open Europe, the right of centre Eurosceptic think tank, will be presenting its paper ‘The hard sell: EU communication policy and the campaign for hearts and minds’ paper. This provocative and illuminating document was prepared by Lee Rotherham and Lorraine Mullally, and the presentation will be attended by prominent figures such as journalist Hans Martin Tillack, and various eurosceptic MEPs. The choice of venue is extremely telling - Libertas headquarters. It would seem that serious euroscepticism has just shifted its powerbase. So as Farage's jolly jape club prepares to meet the electoral firing squad on June 4th, they seem to have opted for one last cigarette and a blindfold. Bob Feal-Martinez is a UKIP Chairman, PPC for Swindon and Farage sock puppet. He is also a bumbling fool. “Paul, and you believe you are being a friend in posting what you have, I have deliberately chosen not to engage in any reference to the situation, which cannot be said of your last post. I will make no further posts on this thread but I suspect that won't stop of the rest of you, and frankly Paul having friends like you Gawain is better off alone”. And for the record I know exactly what Gawain thinks, as he has told me”. However, despite this message Bob has continued posting. I, for one, applaud him for ignoring Liar McGough's warning. How Nigel will feel about it is another matter. Will another name be added to his hit list? Paul Nuttall - Mussolini clone and Farage sycophant - should really face facts. UKIP is falling apart and yet he would rather spend his time boozing with Nigel in Brussels. Only last night he was spotted following Nigel into a Brussels watering hole. However, I can well understand his decision to drown his sorrows in a glass. Turning a blind eye to corruption, lies and dishonesty on a daily basis would drive anyone to drink. Also, the certainty that UKIP will lose it’s only North West MEP seat in June can only make matters worse for the little chap. I suggest he heads back to Liverpool and starts looking for a proper job. I hear the Aldephi are looking for a head porter. Nigel’s performance on The Politics Show clearly shows what a liability this man has become. He came across as childish and totally out of his depth. For instance, he seems completely oblivious to the fact that indulging in stupid stunts makes the Party look foolish. I can assure him that dressing up as a chicken or trying to persuade people to sing The Marseillaise in the EU parliament building is not going to win us any votes! He then insults the intelligence of even the most politically naïve voter by claiming that he has no money. It’s a shame that Nigel failed to mention to the reporter that he earns over £100,000 a year. Indeed, he clears over £1000 in expenses in an average week. Britain is now in full-blown recession, businesses are closing, unemployment is rising and many are living on less than £15,000 a year. And yet this fool of a man complains about his £100,000 salary! Shots of various UKIP MEPs and officials boozing in a pub are also hardly the sort of image I would personally use or authorise to promote UKIP. Another shot of Farage littering the street with his discarded cigarette is also hardly going to endear him to the average voter or indeed the average UKIP member. Do others share my reserves over the UKIP feature in today's Politics Show? The BBC's trivialisation and clown of a journalist was bad enough but I don't think Nigel did us or himself any favours with his performance. What on earth is a British political party leader doing encouraging people to be singing The Marseillaise - whether in opposition to Ode to Joy or not is utterly irrelevant? And do we really need to be seen siding with the 'smoke-in-public-and-be-damned' lobby? Finally, I think Nigel could have found a better response to the charge that he is effectively in financial clover over there than the assertion that he was better off before he went to Brussels. Us 'insiders' know and understand what he means, but I don't think that was the response our detractors will be quick to forget. I see the whole thing as a typical BBC stitch-up but I am surprised and disappointed that Nigel appears to have played into their hands. I have just turned off the BBC video of this and do agree with Tony Stone. Nigel was at ease and communicated well with the interviewer, but could have adopted a much more favourable attitude. My main criticism is that we are at our most vulnerable time in our history, both financially and politically, that we must be serious and well prepared in all campaigning opportunities. I wonder what UKIP's plan was in this opportunity ? P.S. I am very pleased that we are still \posting here, as the new official UKIP blogsite is way off maturity. Martin Haslam is a very popular member of UKIP. He has donated large sums of money to UKIP and even helped pay Marta Andreasen's wages. However, all that counted for nothing when he started to question Nigel Farage about UKIP's accounts. First of all he advised Nigel that all MEP’s expenditure should be scrutinised. Next he suggested an independent inspection of the Ind Dem Group’s accounts. This was a very big mistake as the last thing Nigel needs is openness and transparency. Nigel keeps such a tight rein on Ind Dem money that even his fellow MEPs don’t have a clue where it ends up. An audit would have revealed some very interesting payments. Nigel knew that Martin had to go. He approached the pro-EU ‘Independent’ newspaper and ‘arranged’ for a reporter to phone Mr Haslam. Martin was caught entirely unawares and repeated what he had said to Farage. Nigel was then informed that the ‘sting’ had been successful. At the NEC meeting in November Farage revealed that he approached the Independent in order to ‘test Martin’s loyalty’. By speaking to the paper Martin had betrayed the leader and so must pay for his folly. The nodding donkeys agreed and voted to remove him from the NEC. Farage is now keen to expel Mr Haslam from UKIP. He has instructed Marta Andreasen to accuse Martin of making unauthorised payments to Bruce Lawson. ‘MA complained that Martin Haslam had made unauthorised payments. DY said that he did not believe this. Motion 1: That the Party Chairman should speak to Martin Haslam, carry out an investigation and act as he sees fit. Proposed by DD, seconded by CG. Carried 9-1(DY)’. So Mr Nuttall - UKIP’s nasty little second-rate Mussolini- is to conduct yet another witch-hunt against a decent, hardworking and honest member. I can assure you that Andresean’s allegations are entirely without foundation. Mr Haslam’s payments to Mr Lawson were entirely legitimate. UKIP has been hi-jacked by a group of cynical opportunists who intend to smear all those who refuse to accept the leader’s word as law. UKIP is now a fascist party. I was very flattered to be the subject of GLW’s latest post. Both Greg and I are working hard to clean-up UKIP by stamping out the corruption that has all but destroyed the Party. This can only be done by removing Farage, Nuttall, Zuckerman and the whole rotten leadership. The proposed changes to UKIP’s constitution should have been posted to members by the end of this week. However, due to the usual incompetence shown by some at Head Office they will now be sent out next week. Mr Farage and Mr Nuttall are quite confident that they can hoodwink the members into voting for changes that will give them the power to expel all those who refuse to accept Farage’s word as law. However, UKIP's second-rate answer to Hitler and Mussolini will soon reap the whirlwind. I would suggest that all members be prepared for a few surprises over the next week or two. Nigel’s days as leader are rapidly coming to an end. I can’t say too much at this time but I can safely predict that events next week will give Farage some sleepless nights. I was quite surprised to see John Petley in Brussels before Christmas. You may recall that Mr Petley was sacked by UKIP after he refused to show his private emails to Graham Booth. It was a joy to see Nigel’s face when he spotted Mr Petley. Farage had no idea that John was back in Brussels - on a temporary basis - and was extremely distressed to find himself briefly sharing the same corridor with his former colleague. Oh the joys of political life! The Commission's challenge has succeeded in part. The parties are agreed that in consequence the Senior District Judge’s decision must be quashed, and the matter must be remitted to the Magistrates’ Court to consider the Commission’s application afresh. Here are the minutes for the Eastern Region meeting held in Ugley, Essex on Saturday 17th January. It has to be one of the most damning documents ever written. Thanks to the leadership's corruption and dishonesty UKIP East is on the point of total collapse. Paul Nuttall admits that UKIP’s Political Committee does not keep minutes, does not have an agenda and is totally under the control of Nigel Farage. Paul Nuttall criticises the way NEC elections are conducted. Peter Reeve has been reported to the Police for assault. He has also been reported to the Inland Revenue. How the Eastern Region MEP selection process was rigged. Calls for the Regional Organiser and Regional Chairman to be brought before a disciplinary committee. The Eastern Regional Committee is unlawful. John West was sent a threatening letter by George Curtis prior to the MEP selection process. MINUTES TO THE MEETING HELD ON THE 17th January 2009 WITH UKIP PARTY CHAIRMAN, MR PAUL NUTTALL. This is a confidential meeting and attendance was by invitation only. It was noted that George Curtis had been delayed and would be arriving late and that Robin Page would need to leave during the lunch break due to other commitments. Martin Harvey (Chairman) opened the meeting and thanked everyone for taking the time to attend. MH stated the need for basic honesty. The meetings in Newmarket were set up to try to establish what is really needed to relay our message to the public by coming together to share ideas and generally discuss the way forward. It has never been the intention of the activists to cause damage to the Party. At a meeting in September 2008 an agenda had been prepared to discuss all aspects of campaigning. A short way into the meeting it became obvious that members were unhappy with the current situation and the agenda was abandoned for issues of concern to be discussed. The result of this was the Newmarket Declaration which was sent to the Leadership. Peter Reeve (Regional Organiser) has accused Martin Harvey of placing the Declaration on the internet. This is untrue . It is obvious there are a number of problems within the Party and it is not running as smoothly as it did at the time of the 2004 European elections. In 2005, after the successful general election, it was agreed by the Regional Committee that a new committee be elected as required by the Party rules in force at that time. The Committee agreed that Martin Harvey, as vice-chairman then, with the expertise and help from Brian Lee, should create a method for electing the new committee, as stipulated by the rules that had been put in place by the NEC in October 2005. The old committee agreed these new rules in January 2006 and The NEC approved the new set of rules in February 2006. This is recorded in the appropriate set of minutes. The election of the new committee was to take place after the May 2006 Local Elections. Despite this, at the Regional Committee meeting in March 2006, Tom Wise, Charlie Cole and George Curtis decided to simply appoint the new committee without having an election. This was unlawful because the rules in force at the time were not followed. Representations by Brian Lee and Martin Harvey were made to David Bannerman during the summer of 2006. David Bannerman and Martin Harvey exchanged e-mails on the subject, but nothing positive was done to rectify the situation. When John Whittaker became Party Chairman, he took the file over. Martin Harvey maintained contact with John Whittaker over the matter but by January 2008 many activists were becoming concerned about issues in the Eastern Counties in general, so on the 2nd February 2008 Martin Harvey, on behalf of the activists, wrote a letter to John Whittaker explaining the situation and suggested a way to rectify things. Coincidentally, the NEC changed the rules at this point in time and John Whittaker replied to Martin Harvey in February 2008 explaining that new rules were in place and they would be implemented. The new rules stated that where a branch had not been elected according to the rules, quote, ‘the committee shall be elected by those procedures as soon as possible thereafter.’ ‘those procedures’ refers to para’ 3.1 and 3.2, which deal with election of a committee. Unfortunately, the new rules were disregarded by the Regional Committee and nothing was done to rectify the situation. Martin Harvey said that George Curtis has given a completely false account of what really happened. GC has stated that the exact number of persons came forward to form a committee so there was no need for an election. GC had followed this up by stating, quote ‘the present committee, which then contained both Martin Harvey and Brian Lee is the end result. These last two immediately attempted to retrospectively foist a new set of rules onto the committee’. The end result was the departure of Martin Harvey and Brian Lee. Martin Harvey said this is a totally dishonest fabrication. Party Secretary confirmed NEC approval of new rules. This was conveyed by e-mail. Martin Harvey informed the Party Secretary (Mr Denny) about the contravention to the Party Rules and stated that he would not be part of this unlawful committee and withdrew his name. The new committee had its first meeting. The selection procedure for deciding the MEP list for the forthcoming EU election this June (2009) was considered by many to have been unsatisfactory, as is confirmed by Piers Merchant (Returning Officer). In particular, the panel of Jeffrey Titford, Peter Reeve and George Curtis was seen by many to be biased. George Curtis sent out a letter criticising one candidate and Jeffrey Titford had sent out an e-mail damaging other candidates. Robin Page considers himself to have been tricked into a situation where the Regional Organiser, who had promised to deal with the forms, failed to meet the deadline. A particularly good candidate (Chris Hudson), who is most likely by far the best Political Brain in the East, was rejected. A disturbing fact is that statements in letters and e-mails and on public websites have been made about hard-working activists which are untrue and deceitful. Attempts have also been made to smear individuals by publishing untruths on Public websites. One particular website is set up anonymously in America so that the perpetrator cannot be traced to face charges of libel etc, due to differences in American and British Law. Many consider that this site operator is acting in collusion with the UKIP Leadership. There are at least two UKIP members/ supporters who post childish and untrue statements on the British Democracy Forum website, one of whom is a MEP Candidate on our list, which does bring UKIP into disrepute, as it is a website that enjoys Public Access. George Curtis has put out untrue stories about the formation of the current Eastern Committee. George Curtis placed an article in Jeffrey Titford’s Newsletter stating that the Eastern Committee follows the rule with regard to regularly informing and otherwise updating the constituency associations and branches of its activities and undertakings. It appears that this rule is not being adhered to as when a request had been made for a copy of the minutes for three particular meetings which took place over the last two and a half years, George Curtis refused the request. It appears that the Eastern Committee has not only been unlawfully appointed but is a committee which does not abide by the rules. MH said it is our request that Party rules must be followed, the lying and deceit be halted and the bullying be stopped. JC explained that he was Chairman of the South East Essex Branch and also a member of the Eastern Regional Committee. He was prepared to answer any questions put to him. It follows that in the context of the receiving or paying away of monies, the Committee cannot legally create or amend Bank mandates (e.g. change signatories or anyway alter the Banks instructions). It might also be argued that in collecting or otherwise enticing of monies to be paid into such an account could constitute fraudulent conversion. If, however, the bank account is merely a subset of the national party’s banking arrangements, covered by a mandate authorized by the Party’s national rules, with signatories authorised by appropriately named (on the Bank mandate) national party executives, then the role of the regional committee in respect of funds is probably not relevant. His view was ‘carry them out or tear them up’. There is nothing wrong with our rules and it is obvious they should have been implemented in February or March 2008. Problems have occurred because they have not been implemented. A dispensation had been given by John Whittaker to George Curtis. This cannot be done without the agreement of the membership. JC quoted Edmund Burke “Stand up, tell the truth or say nothing”. Branches are so remote from the Regional Committee. JC is in a position to report information, on a monthly basis to the Regional Committee on behalf of the South Essex Branch. He is aware that other Branch Chairmen do not know what is going on as there is a communication problem. There needs to be discretion but Branch Chairmen should be sent copies of the Regional Committee minutes. Two months ago A Smith (Regional Committee)) called on members to say he wanted a confidentiality document to be signed. JC did not sign this as he saw it as a gagging order. The Regional Committee are taking on more than they should and autonomy is being whittled away. It is obvious that the Regional Committee is unlawful at the present time. The Returning Officer has reported his grave concerns about what had occurred regarding the MEP selection process. These concerns need to be answered. We are all fighting the same cause, we are a pressure Party but these problems in the East must be sorted out. “Tell the truth and fear nothing”. JC said he can back up everything he has said in writing. John Croft concluded by saying “Today, Mr Chairman the only way forward is to alleviate this problem by dissolving the Eastern Regional Committee and electing a new committee. 1. That by repeating untruths at Eastern Counties Committee meetings thereby bringing the Party into disrepute. By stating that I had attended a meeting with Greg Lance-Watkins in Bath on December 6th, who incidentally I would not recognise even if he were to be in this room. (Meeting held in December). Evidence of where I was, attached. 2. That by distributing letters to members of the Fenland Branch thereby bringing the Party into disrepute. Letters with highlighted comments attached. 3. By behaving at a Fenland Branch meeting in my opinion in an arrogant manner thereby bringing his professional behaviour into disrepute. a) See minutes to the meeting. 4. By attending a South West Branch meeting and uttering an unprofessional statement thereby bringing his position within UKIP into disrepute. 5. By making false statements to other UKIP members. a) Mr Reeve falsely stated to Clive Page, I understand a convicted fraudster, Annabelle Fuller, who despite her so called resignation I understand is now working for an MEP and Dr John Whittaker, retired UKIP Party Chairman that I had spoken to Daniel Foggo, a newspaper reporter. This was nothing other than lies and trouble making by Peter Reeve. 6. By physically assaulting a person at a UKIP meeting. a) This is an ongoing situation and as I have been asked by Cambridgeshire Police to make a statement at this stage I will not comment further. 7. I understand that Mr Reeve is also under an investigation by the Inland Revenue, again as I have made a statement to the authorities I cannot comment further. 8. I have also requested leaflets for distribution by branch members, to- date received nothing, see copies of e-mails attached. 9. In the minutes of the ECC meeting, 08/081 I quote, “SG (Stewart Gulleford) reported that about 100 people attended but TW (Tom Wise) had tried to undermine it” End of quote, Mr Party Chairman, what actually happened was that Peter Reeve had tried to hijack the Battle Bus which I, yes me Mr Party Chairman, had taken to a garage for repairs, I then drove it on to the ‘Webbington Hotel’ where I had promised it to Mr Roger Knapman MEP for a Conference, Mr Tom Wise was not involved at all in this, all Tom did was to organise the bringing over of the ‘Battle Bus’ from Brussels, thereafter I organised the arrangements of where and when it would go. When the bus arrived the first person I offered it to was Mr Reeve who decided he would not use it because I worked for Tom, I then approached other Regional Organisers who jumped at the chance, hundreds of signatures were collected and many new members signed up along the South Coast, Somerset, the Black Country, Devon, including Newton Abbott and South Wales, all paid for by the Ind/Dem Group. Mr Party Chairman, I am of the opinion that Peter Reeve is a liar and a bully and is neither a suitable person to remain the Regional Organiser for the Eastern Counties or indeed fit to remain a member of the United Kingdom Independence Party. 08/114 (ii) of the Eastern Counties Committee meeting dated October 10th 2008 GC, as he is known in the minutes stated, and I quote “GC noted that some of those attending the Newmarket meeting and critical of the MEP selection process had themselves stated that UKIP should not contest these elections, contrary to Party policy” end of quote. This of course is untrue, it is a lie, what was said was that unless the selection was conducted in a proper manner, which it was not, support would not be given to the elections. As Chairman of a Committee it is essential that reports are accurate. 08/104 (i) I quote again Mr Party Chairman “GC reported e-mails and telephone calls to him from Peter Cole ............... a small number of members in the Region trying to cause trouble” End of quote. Mr Party Chairman, I have never telephone George Curtis or in fact ever spoken to him, when this was stated I had only e-mailed him on behalf of Tom Wise UKIP MEP because George Curtis had not answered Tom’s letter, the moment I sent the e-mail a letter arrived from Mr Curtis. Copies of e-mails enclosed. 08/104(i) I Quote Mr Party Chairman, “It was agreed that GC will write to the Fenland Branch seeking from them in confidence a written statement of their complaints” End of quote. This was minuted on September 9th 2008, I, as Fenland Branch Chairman or our Branch Secretary, have not received that letter, I ask, Mr Party Chairman, what is the point of having a committee when the Chairman ignores the meetings conclusions? The contents of a letter sent to John West on November 25th I consider explains why John West was not selected as a candidate and because Christopher Hudson who helped John with the Law & Order Conference, at which Mr Party Chairman you spoke, he too was not selected. The final paragraph in that letter is a threat. How someone cannot select these two gentlemen, Christopher in particular, with all of his political experience, when a 19 year old school girl living in Ireland is selected, is beyond comprehension. Copy of letter attached. The conclusion Mr Party Chairman is that Peter Reeve is quite willing to feed false information to the ECC and unfortunately Mr Curtis is a liar, bully by threat and gullible and accepts whatever is said by Mr Reeve, thereby rendering himself unsuitable as a chairman of any committee or indeed as a member of the United Kingdom Independence Party. Mr Party Chairman, I hope you will take action on my requests immediately. Thank you. RP believes in stating the truth. His personal ambition at the present time is zero, his ambition for Great Britain is enormous. The Party had opportunities and they have been thrown away. RP applied for MEP selection because a vast number of people believed in him and wanted him to stand. Due to an accident which was followed by a bout of Bronchitis he telephoned Peter Reeve and asked for his help and also spoke to David Challis explaining the situation. Peter Reeve said he would attend a meeting to get papers signed and it was confirmed by Stuart Agnew that this was being sorted out. When RP was fit to return to work, he was informed that his application had arrived too late, even though Peter Reeve and David Challis had said this would be acceptable. It is the opinion of RP that he was ambushed and this was also confirmed in a report from Piers Merchant (Returning Officer). It appears that dirty tricks were played by the Chelmsford office and this was confirmed when it was found all relevant data on their computer had been wiped off so no investigation could be carried out. RP appealed and it was discussed at a Political Meeting which is chaired by Nigel Farage. There is no agenda or minutes available of this meeting. Paul Nuttall explained that the Political Meetings chaired by Nigel Farage do not have an agenda nor are they minuted as attendees change from meeting to meeting. RP has now placed his grievance with the Data Information Act. George Curtis has said to RP that he would not have achieved the top nine candidates anyway. RP stated that under the Constitution only one person can be proposed by a member. There is a case where this has not been followed. RP is of the opinion that the Executive have stolen UKIP from the grass roots. He wants UKIP to win but is concerned about what is going on within the Party. How can we go to the Country to clean up the EU when there are issues like this going on. UKIP must get its act together or members will leave in droves. Martin Harvey confirmed this meeting was organised specifically to discuss the Newmarket Declaration and he asked PR to please stick to the agenda. PR stated that the Declaration was represented on the internet yesterday evening. PR said he came for a discussion which has culminated in these issues. What I believe is that this meeting was brought on by Marion Mason’s feelings that I should come and speak to you all. The Party Chairman said we will speak to these people but not for the Declaration. With regard to the Selection Process, I will answer any questions. Piers Merchant’s report concluded by him saying that he had insufficient time to go through things thoroughly. What he is saying is that here is a brief overview. The actual fact is that he did not speak to anyone dealing with the process. Jeffrey Titford wanted to be out of the process because he did not want to be in a position of difficulty. The whole process has been open and above board. Why are we focused on rules, we should be out there talking to the people. With regard to filling in Robin’s forms, I did not know sufficient details. PR repeated that 300 campaign hours are being lost today. This meeting contains a hand-picked group with concerns. There are a lot of people who have not been invited. Do not go away with any idea that this is an opinion across the region. I am proud of the selection process and it was most professionally carried out. Eastern Regional Committee – Contradicted when the problems were. To my knowledge, at that time, a number of people applying for the post were less than the number of positions available so it would have been a waste of time. It is a set precedent in this country when you know the outcome. The Committee has put in a lot of time to raise money. Their remit was to raise as much money as possible. The question is why is there all this fuss anyway as it is in the fulfilment. Martin Harvey intervened by saying PR had over-run his time allocation, had spoken for longer than anyone else and to please conclude. PR said he was interested in what is being said and what other chairmen, not present, had to say. Martin Harvey explained that he has collated all the details and they have been passed to Paul Nuttall (Party Chairman). A letter was sent to John Whittaker voicing the Waveney Branch’s concerns over the MEP pre-selections and no reply has ever been received. One member of the Pre-Selection Panel corresponded with a candidate regarding their application form and one of the statements within that correspondence could have been seen as a threat. Any member of the panel stating his preference should do so publicly. Another member was an assenter to a candidate and another member had a family connection. JT said he could name any of these members, albeit he would prefer not to in case of repercussions. LB explained his background in UKIP and the fact that he was originally a member of the Regional Committee in the lead up to the elections. Since that time he has never been invited to attend a meeting and has not received any correspondence from them until quite recently. In the last two years he has become more and more disillusioned and had thoughts of resigning from the Party. The whole system has gone wrong. In the Eastern Counties there is a hard working nucleus but it has gone downhill. The Executive needs to give the members in this county the chance to select their own Regional Committee. LB called for Peter Reeve and George Curtis to stand down. I want to live in a democracy and am trying to resolve what is going wrong in the Party. Everyone is aware it starts with the Leader, Nigel Farage but it actually starts with us, the infantry. There is a bit of a scrabble going on. It is a gravy boat and not a gravy train and there is a struggle to get on there. If there is a flawed selection procedure we have brought it on ourselves. All Parties can be infiltrated. What would I do if a Party has been infiltrated at a higher level? I would say lets have a regional committee which is elected by us. Peter Reeve interrupted by stating that BM is bearing his thoughts on the people present. Peter Cole followed on by saying the Declaration was signed in September 2008 and it is now January 2009. He emphasised that the meeting today was organised by Martin Harvey and not Paul Nuttall. Everyone except Peter Reeve and George Curtis had been courteous and had responded to their invitation to attend. We have been sitting on the fence for a long time. A lot of it is rubbish. We do not know the truth of the matter. There are a lot of problems which clearly started two years ago. My branch have written many letters to the NEC but had no replies. I have followed this up by telephoning Head Office to explain that I need to speak to someone. I was informed by Head Office that they are not really Head Office as they cannot do anything. What does this indicate to the rest of us to get out there and do something for the Party. I have been demoralised and do not have the heart to talk to people as I do not have that conviction. The advertising of the Party to the public is nil and we do not get enough information over to people. I am upset today that there have been a lot of accusations. I had hoped Peter Reeve would answer these accusations and he has not answered the questions put to him. If the issues are not addressed soon, the Leadership should stand down. If they want us to get out there and speak for England then all issues need to be sorted out now. I will set Peter Reeve right as to why I am here. There is a festering sore which has been going on for a number of years. The time is 1215 and George Curtis arrived. He gave his apologies. Ron Hurrell continued. The Selection Committee comprised of different people on different days. This should not be allowed. I am a man of principle. I am becoming punch-drunk with all the spin. If the Leadership had any degree of leadership the problems would have been cleared up years ago. I will have to consider my membership. I wrote to George Curtis asking him if I could have copies of minutes of his meetings. He wrote back to say the procedure was boring and some of it was confidential. What is a Cabal? Is it a name for the Eastern Regional Committee? What I say is get this dissatisfaction cleared up and let us get rid of the puss. John Croft – I am going to question someone about the selection process and will speak more about this during the second part of the meeting. 1. After the 2009 elections we will need to disband the Regional Committee. 3. After the elections in June I will look at how the NEC is set up. It is crazy how members vote for NEC members. This needs to be done on a regional basis. PN continued - In terms of public forums, there are a number of websites I am not happy about. Many sites are set up from the United States. The problems are from both sides and a lot of the information given is factually incorrect. I have attended a meeting in the South East to sort out problems. I do admit there are also problems here. The membership is not falling any more. I have lots of leaflets to hand out. We are building momentum for the general campaign. It is all about campaigning. Branches should take the initiative and they can purchase leaflets on the UKIP Forum. In terms of the Political Committee regarding Robin Page, there was no agenda and no minutes taken. It is Nigel Farage’s committee and he chooses who attends. It is not always the same people who attend as it is dependent on what is to be discussed. Nigel calls a meeting as and when he requires it. Robin Page said the grass roots already feel let down. He has spoken to Nigel and asked for a meeting with him. Nigel has refused. Paul Nuttall asked for this to be left with him to deal. At the questions and answers item on the agenda, he will give straight answers. 6. The meeting adjourned for lunch at 1235 and recommenced at 1.20 pm. Robin Paige was not available for the afternoon session. Martin Harvey said Paul Nuttall has given us some hope and is acknowledging that we have some local problems. Bob Colman – With regard to Nigel Farage and the set up of the Political Committee, it seems that he is able to choose who he wants rather than someone who can contribute importance. Can he not appoint people as a think tank to sit at certain times to decide on what is the best way to deal with issues? This would be better than pulling in people from here and there. Paul Nuttall – That is what the Political Committee is meant to be, i.e., when Nigel wants a meeting he can call one and that is allowed for under the Constitution. There are no minutes taken as a lot of the discussions are with regard to future policy. Action: Paul Nuttall will bring this up. Jonathon Arnott – The Political Committee is set up to relate on the up and running of the Party, i.e., when information is required from the press team, they will be invited to attend the meeting and will form part of the committee on that occasion. It is an advisory committee and not a decision making committee. It is there as a support. This is the only committee the Leader can appoint. There are concerns about these committee meetings being minuted but if they were made public there are specifics which we would not wish other Parties to see. It could be called a working group and not a Committee. The new set up will allow this. Paul Nuttall – The communication is dire. No-one in Head Office knows what is going on. These people, who will sit on the proposed Interim Committee, will be meeting once a month. It is possible we may need to re-evaluate the Party. Enthusiasm and Party membership will start to rise from February once the billboards go up. We do not have sufficient man-power and these needs to be addressed. Eddie Worster - When will you be advising whether there will be a re-run for the EU elections? Paul Nuttall – The only people who can make this decision is the NEC. Eddie Worster – All promises are ignored. Eddie Worster – I suggest you take this from this meeting to the NEC and to note that we require a decision by a set date. This was agreed by all with the added comment of ‘We want the truth’. Paul Nuttall – The NEC took a vote on this before. I agree to take this back to the NEC. Action – Paul Nuttall. Martin Harvey – The meeting today has a specific agenda. We have invited the Party Chairman, Paul Nuttall, to meet with us. Attendance is by invitation only We appear to be having some good come out of this meeting. John Croft – In this particular instance I will take the word of the UKIP Chairman. Discretion is the better part of valour. Marion Mason – Regarding the Newmarket Declaration, the meeting agenda was sidelined by a few problems. Is it good for the Party now to go through a new selection process? I do not think it is conclusive. Peter Cole – I do not think we are asking for a reselection. Each person who put their name forward should go to the eastern counties and let the eastern counties members make the decision. George Curtis – I was the original chairman and am a member of the national selection committee. I have given a considerable amount of my time to this. There was a standard questionnaire. The third person on the panel was Jeffrey Titford and on the second day it was 3 others. There were 16 candidates in total. Seven candidates will fall by the wayside. The candidates were very good. They were given 30/40 minutes to go through the questionnaire and we went through their CVs. They then went through the process of the media test where they were given a hostile interview. At the end of this three of us gave up a total of points awarded. We then compared scores. We amended figures if we felt it was needed where there were vast differences in our scores. The top nine (9) candidates scored nearly all the same. It was a very close run thing. Most of the critics have not had privy. With regard to Robin Page, as I said his papers were not put in as they were late and incomplete. There were ‘jeers’ and cries of ‘lies’ from the floor, GC turned shaking and said ‘SHUT UP’. It was noted that this was discussed during the morning session before George Curtis had arrived. Peter Reeve – I did speak to Robin Page during the lunch adjournment and had asked him if he felt there was a communication breakdown. Robin Page has declined to discuss the matter. Marion Mason – I am not prejudiced. If the form was not completed it could not be submitted. It does need to be level. Jonathon Arnott – The original question was whether the MEP selection procedure was correct and if not should it be re-run. It is not something we can answer as the NEC would have to consider the matter and make a decision. There is a need to consider the political impact this would have and the time scales involved. All sixteen (16) names would have to go forward and there would be the problem of sufficient time in arranging the hustings, which could not take place until after the NEC decision at their meeting. It would be difficult to have a question and answer session. In order to do this it would require for a Selection Panel to be selected. In order for that to be done you may well find other people would say, ‘I would like to get on this’. The argument would be’ if those papers were not in on time, my paper can go in now’. It is quite possible that the first and second places could still be the same again in a re-run. The campaign could be harmed rather than helped. Peter Cole – This is why we asked for this meeting some three months ago. The NEC should move themselves. Peter Reeve – Chances are you will have the same people. The real reason is that this is how we select MEPs. There are lots of ways this can be done. We could compile a folder and send out to everyone. Every process has a flaw. Paul Nuttall – Will this room guarantee that they agree with the decision of the NEC? Doug Dilley - We are going over and over the same ground. Is it true the Eastern Regional Committee will disband after these elections? George Curtis – I became Chairman in 2004. After the Hustings then it was noted that there was no confidence in the Eastern Regional Committee. I therefore resigned. Martin Harvey was at that time the Vice Chairman but he did not want to take over as Chairman. Martin Harvey asked me to do the job; I did not seek the position. Ten candidates applied to sit on the committee. The ten volunteers became the new committee. Martin Harvey wanted a new committee selected under complicated rules. It was noted that this point was covered during the morning session of the meeting. Paul Nuttall – We need to compromise on this issue. Let us select a new Regional Committee in July after the elections. This was agreed. Peter Cole – How will this be done? Will this come from you as Chairman of the NEC? George Curtis advised to get the EU elections out of the way in June before dealing with selecting a new committee. George Curtis – We need to do this properly. John Crofts – asked George Curtis if he was prepared to distribute the Regional Committee minutes to branch Chairmen as stated in the rules. George Curtis said he does not have any problem with this but he needs to put this to a full committee and treat it with his discretion. (His last meeting was badly attended). Martin Harvey – I have worked on a good system of selection. This was passed by the NEC in February 2006. It is a system which brings all the branches together. By having a proper selection we will get the best from the East. Martin Harvey – The general thrust of this meeting is we need the truth. Bob Colman – Discourage members from using the Internet. Paul Nuttall – suggested that only hard copies be sent by external mail to NEC members. That is safer than using e-mail. Bob Colman – Do you have any information as to when there may be a General Election? Peter Reeve – People in East Anglia are happy. Bob Colman – Disagreed with Peter Reeve We have to remain unhappy at this point. It is unfortunate we have to state that we are unhappy but we need to get it right after the elections. Martin Harvey – We will look at election rules after June. We need to get everything right. Jonathon Arnott – With regard to a General Election, none of us knows exactly. I suspect that there probably wont be one this year. Doug Dilly proposed that Paul Nuttall begin to sort out a new Regional Committee in July 2008. Will it be organised by Paul Nuttall and/or the NEC? The existing Regional Committee should have no input into the selection of a new committee. This was agreed. The system should include the Branch Chairmen. All Branch Chairmen to receive a letter. Peter Cole – emphasised that the letters should go to all branch chairmen. Bertie Poole – Referred to previous MEP elections and spoke about getting on the gravy train. We do not need meetings in Brussels. MEPs should give half their salary to the Party. We are losing track about what we are about. Paul Nuttall – I do not think we should take part in EU by abstaining and not voting. Peter Cole – MEPs only need to be in Strasburg 48 days a year, 10 days in Brussels and spend the rest of the time in this Country. Len Baynes said this could be put to the NEC. Jonathon Arnott – Let someone like Paul Nuttall go out there to see how it is done and this could then be put to the NEC. Thank you for inviting me to this meeting. It has been very productive. There is room for compromise. We are fighting for the same thing and need to spread the message. June is only the beginning and the window will be open for only three months. 1. Have an election for a new Regional Committee in July 2009. 2. The minutes of the ECC will be sent to all Chairmen on the terms Jonathon Arnott put forward (a non confidential set to be placed on the website with immediate effect. 3. Rerunning the Eastern Regional Committee. Will you agree to take the NEC’s decision as final? This was not agreed with at this time. Martin Harvey thanked all in attendance.